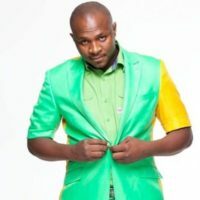 Dr Malinga whose birth name is Goodwill Malinga is a South African record producer and musician. He was born on 7th July 1980 in Themba, Hammanskraal in South Africa. Malinga is signed to Lingas Entertainment, Universal South Africa, Universal Music, Universal Music (Pty) Ltd. He was born on the 7th of July 1980 in South Africa. As of 2018, he is 38 years old . He bought a house worth R 3.2 million. Malinga encouraged people to believe that anything is possible if you believe and work hard. He got married to Boitumelo Mosupye in 2013 and together they have a daughter and his wife also has a son from another relationship.